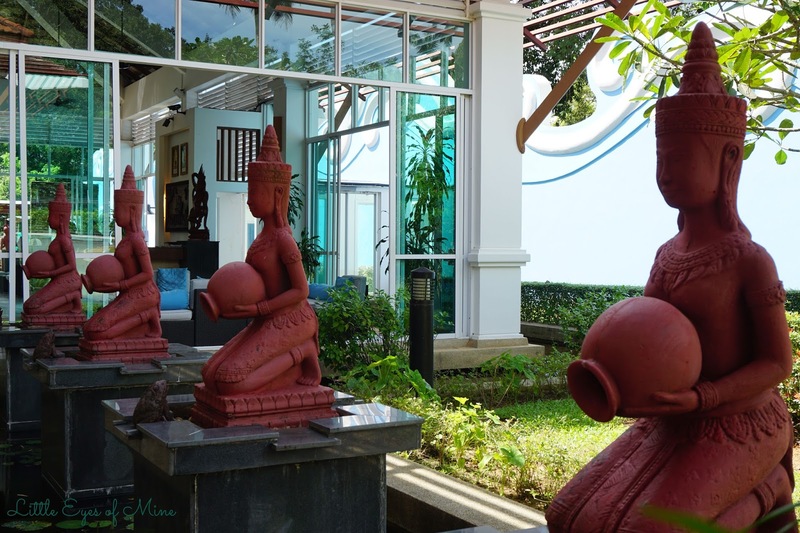 Dara Independence Beach Resort & Spa is a holiday everyone should experience at least once. We read about Greece, Maldives and other locations with such beautiful views and ambiance. Aren't we lucky that we can experience something similar here in Southeast Asia? and, to be exact, Southern Cambodia! 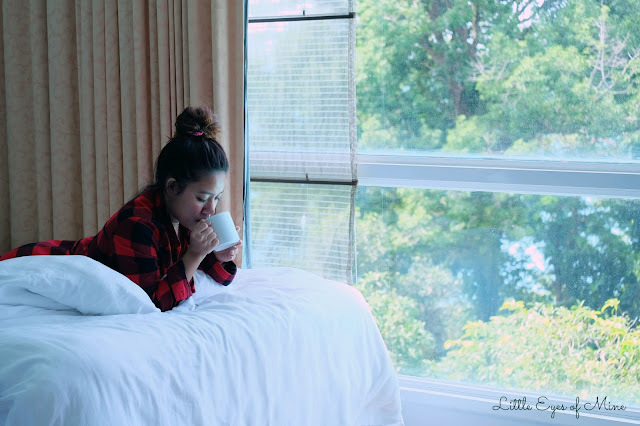 Keep reading to find out my take on rating this hotel and also FIVE reasons why I would come back for another night at Dara Independence! Before we begin, here's a little disclaimer- I am not a professional Hotel Reviewer but I know when a hotel deserves a review! 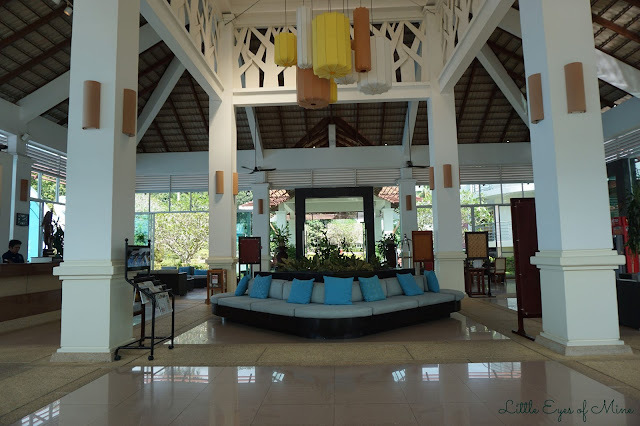 A couple of weeks ago, I had spent two out of three nights at Dara Independence Beach Resort & Spa. It was amazing! 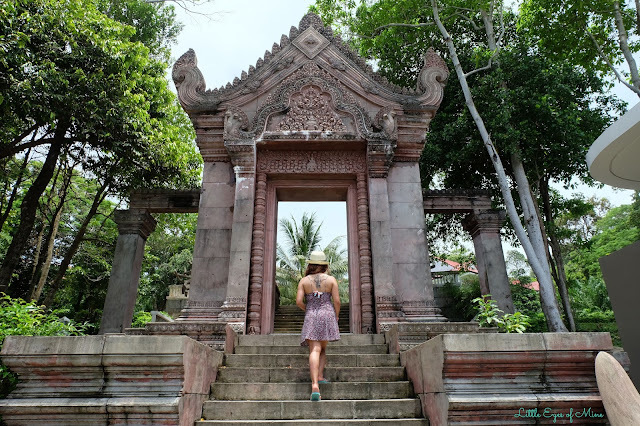 This holiday was a little bit different than usual- as most of the time we'd be staying at hostels and we will do as much exploring as we can. 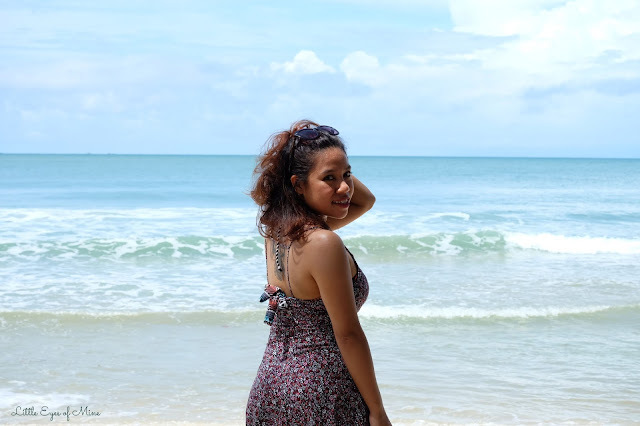 This time we did one night on the island called Koh Rong and two nights in Sihanoukville. 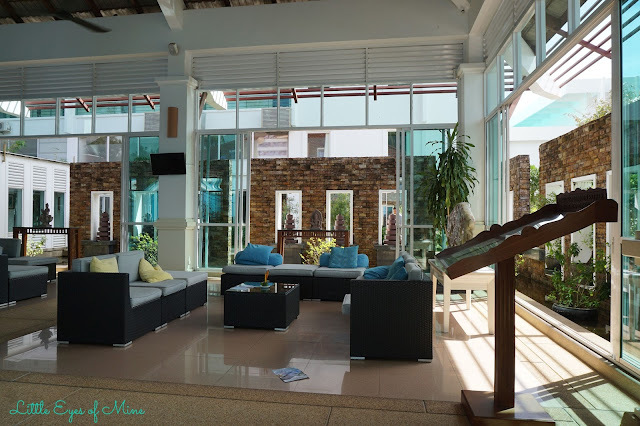 I would suggest that if you are traveling to explore Sihanoukville town and its party spots, or the islands around it, it would be best for you to cover all of that on the first few days of your holiday and then you end it on a perfect note at Dara Independence Beach Resort & Spa. 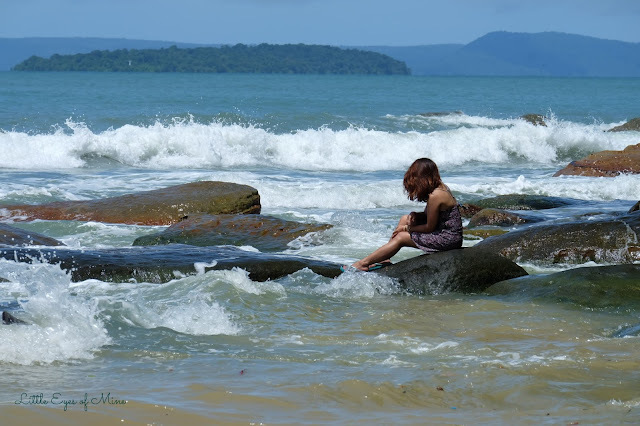 There is just so much to see in Sihanoukville and the islands around it and you would not want to miss any of it. If you've seen my instagram posts, you would have already seen how beautiful the places looks in the pictures. Imagine seeing and enjoying the view; live; in person! It is beyond spectacular! 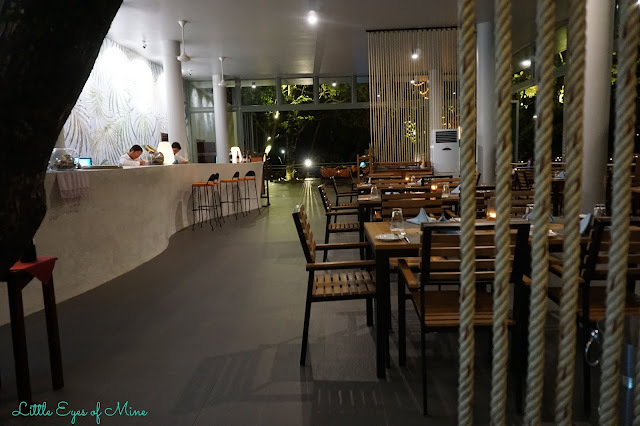 From the view to the food and the amenities, I've done my review. So, continue scrolling for more details. As mentioned before, although I am not a professional hotel reviewer, I've rated them based on a few aspects which are things that make a hotel stand out. Various sites have shown ratings for Dara Independence as a Four Star hotel or more. Guests have mixed reviews of this place but nonetheless, different guest have different needs, wants and expectations. 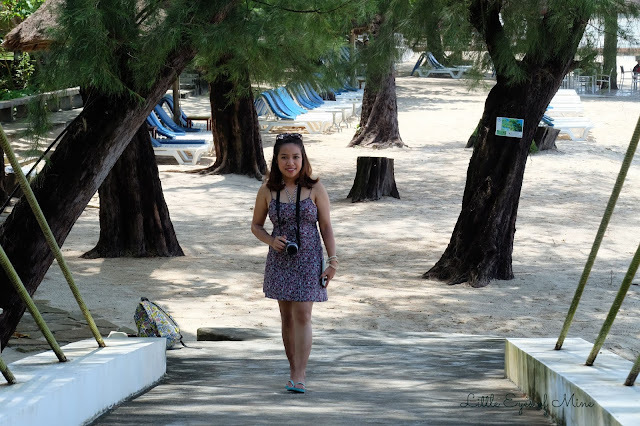 Everything I've written is based on my observation and experience at Dara Independence Beach Resort & Spa. 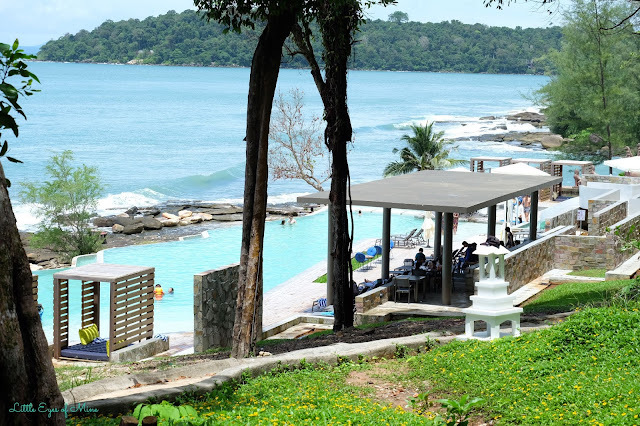 Dara Independence is located on Independence beach which is their own private beach. It is located on their own land and is quite secluded. 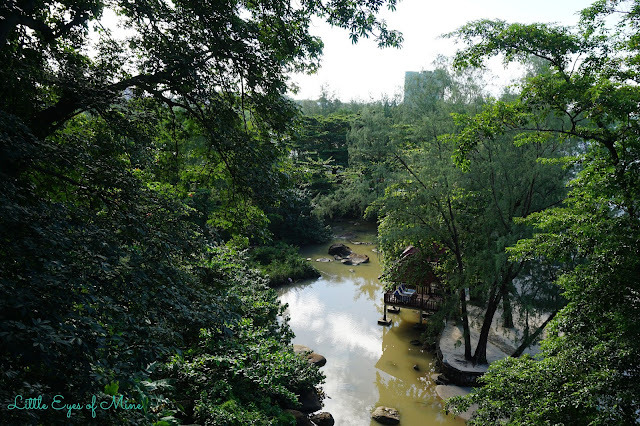 This gives the hotel a lot of privacy as well as maintain the greenery around the hotel. This is a plus point for those seeking a hotel away from the hustle and bustle of life.Dara Independence is quiet far from the other famous beach called Otres Beach. The journey to Otres Beach takes about 25 minutes depending on the route from the hotel. But it is roughly about 15km. To the airport takes about 30 minutes which is roughly 21km. The price various if you get hotel transfer and a private transport. We requested for a private transport and it cost us USD 20. That is the usual rate from the airport to town as well. 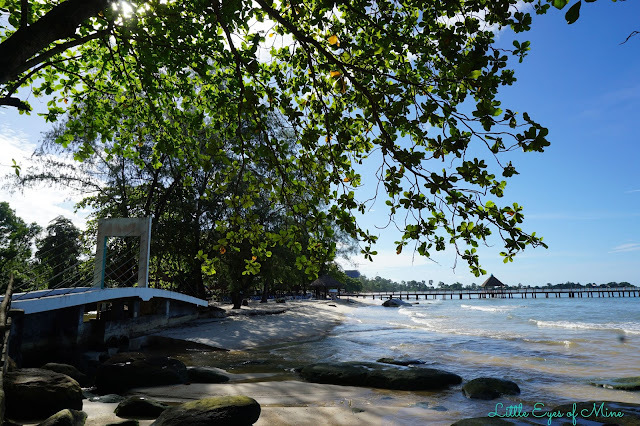 One of the main landmarks of Sihanoukville is the Golden Lion. The Golden Lion is located about 10 minutes ( 6 km ) from the hotel. The Golden Lion has a lot of hostels and eateris and also bars to visit, so be sure to check that out. Sokha which is in between the hotel and Golden Lion roundabout has a huge casino that is perfect for those who want to have the feel of Casino Royale. I stayed here with one of my best friends who was also the one recording my videos and taking pictures of me. The price range I would say is about RM 400 minimum (approx. USD 100). I definitely feel that it is worth the price. If you do plan to go, do book in advance and check out travel sites to book because they may have a discount. The prices for food is also quite reasonable. 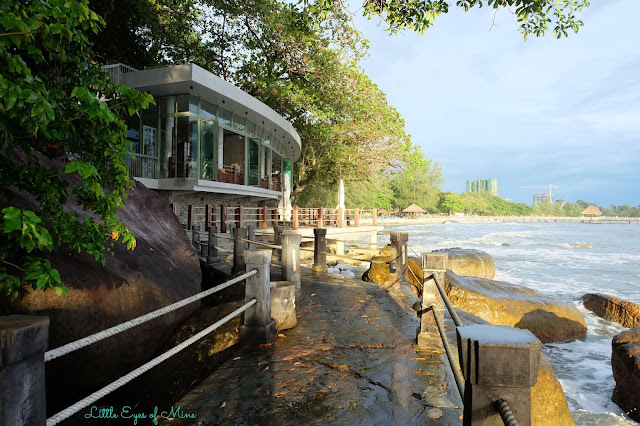 There are two restaurants which are Coral Restaurant and Sunset restaurant. Both serve a variety of food and drinks at a reasonable price. The price difference is only about a dollar different from the prices in town. I believe that they deserve their stars recognition because of the modern design and the architecture of the hotel. The rooms are big and has a color theme and it overlooks the sea. Their pool, beach, spa, gym, restaurants and rest of the amenities available show that Dara Independence is definitely worth the stay. I would say that I do not fancy their main pool or rather their first pool but since the Ocean Pool opened this year, we're pretty lucky to be able to enjoy that. Another thing which I consider star quality is the service because even though there is a slight language barrier, the service is still good. For instance, we put the 'Do Not Disturb' sign on the door and when we had requested for an ironing board, the staff noticed the signed at the door and did not ring the bell. Instead, they had gotten their front desk to call us to inform that they are in front of our doors. I think this is something that makes a hotel stand out it terms of their services. The service and hospitality here at the hotel is good. I've some reviews saying that the service and hospitality is not the best but my stay was such a pleasant one. We were greeted with a welcome drink and a smile from the staff at the front desk. They explained to us regarding transportation to town and directed us to their concierge with was very helpful from the day we arrived. 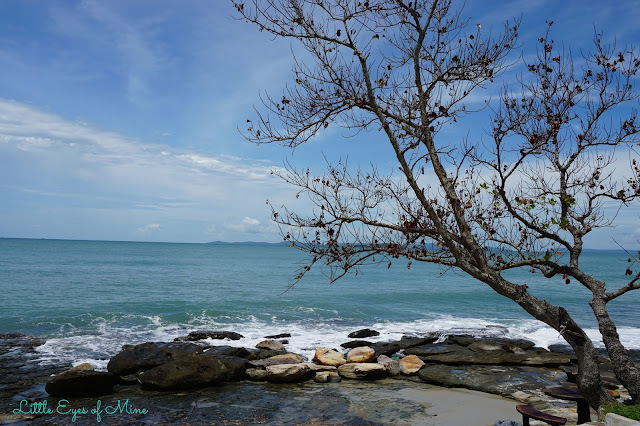 Although Sihanoukville is not transport friendly for tourists, we managed to get a private car service that was reasonably priced to take us to and from town. I faced a small accident before I arrived at Dara Independence and at that night my toe started to swell as there was a cut. The staff at the front desk was so helpful and assisted me with first aid and bandaged my toe. This is something that I will be grateful for. 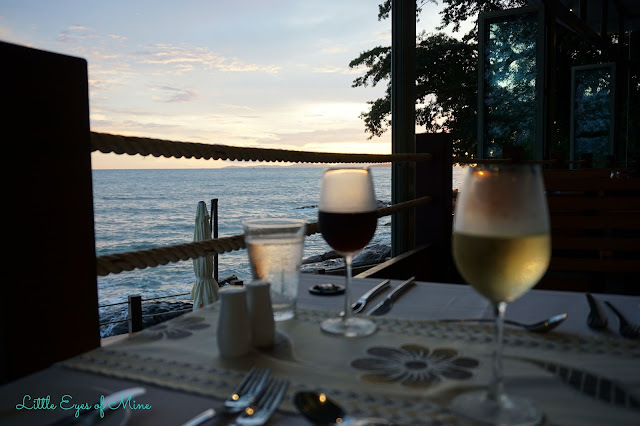 We tried the food both at the Coral Restaurant for breakfast and dinner on the first night and had a wonderful dinner experience at the Sunset Restaurant the next day. The breakfast buffet I would say is not bad but they had the same menu for buffet for both days. It is not the best I've seen and tried but it is doable. The Ala-carte menu for dinner is not bad too as they have a variety of food and drinks to choose from. The service was good but food was served a little bit slow. Or maybe because we were very hungry! LOL. The Sunset Restaurant food, however, was really good. Every dish we tried, was delicious.This is something that I would recommend. I would like to talk about their amenities but I will save that for the points below- so keep scrolling for more.The room was very spacious. Our room was The Space which comes with either a double bed or two super single beds. It was very comfortable. The room came with bathrobes and slippers as well as a little bar. There is also a safe compartment in the room which is good because we can store important documents that we do not want to be carrying around. Our room came with a bathtub and a see-through glass panel between the bathroom and the hall. So just in case you do not want miss the view, then just pull up the blinds. 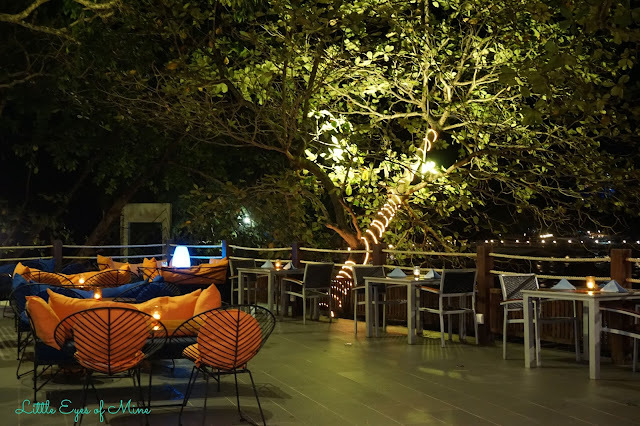 I've listed FIVE reasons why I would go back & I hope this would convince you to spend a night or two at Dara Independence Beach Resort & Spa. There is one pool just outside the resort which was their main pool. 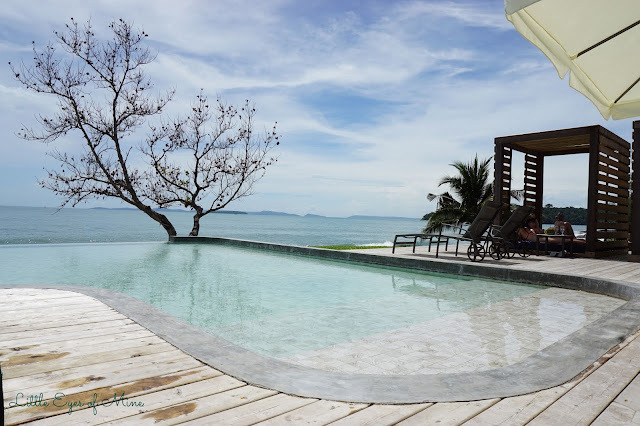 It is a decent pool size and is good and convenient if you'd want to go for a quick swim and if you're lazy to walk over to their infinity pool- but just saying that the few minutes walk is going to be worth it. The focus is their ocean infinity pool. That is one reason I'd go back for. There's no need to be thinking of Santorini or Mykonos with that view while you tan on your pool bench! 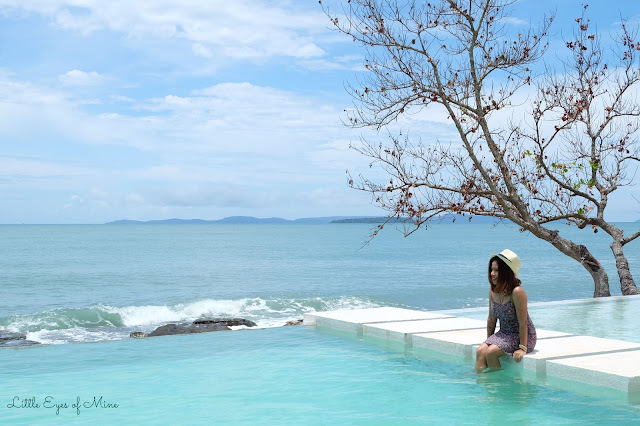 The pool, opened only in May 2017 is a beautifully designed infinity pool that overlooks the sea. With clean waters and beautiful view, what more can one ask for! If you're planning to stay at the pool for more than a couple of hours like what we did, don't worry, there is a bar where you can order drinks and enjoy it at your cozy gazibo. The modern design does not mean that Dara Independence did not keep to the Cambodian heritage. There is even a part of the pool that looked like an ancient arch! The elevator to the beach is something that was beyond my imagination and expectation. When reading about Dara Independence, I read of this feature, but did not expect it to be this beautiful. We all know a picture may sometimes be deceiving but this just proved otherwise. It was better than what you see in the pictures. The elevator to the beach just took it a step higher compared to other four star hotels. 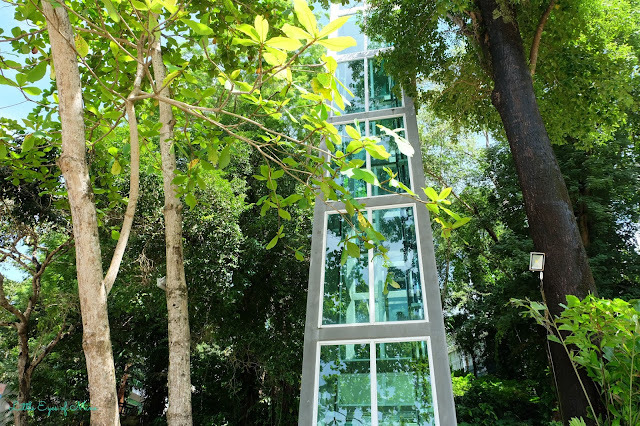 If an elevator is not enough, imagine a see-through elevator of which you get to see the view of the beach and the sea and how beautiful it is. A short video will be posted on my YouTube channel soon, so, keep an eye out for that. But basically, the beach here is much cleaner compared to the one at Otres beach which is prolly because it is the hotel's private beach. Clear waters and soft white sandy beach, the view from the top made it seem like we were in a movie. The sunset dinner was an amazing experience. The dinner with the sun setting in the background gives it a very luxurious ambiance. The food was also very delicious. They have variety of appetizer, soups, mains and desserts to choose from. Not forgetting the drinks as well. We tried their Grilled Cardamom-marinated Lobster with lemon butter sauce, cream spinash and mashed potatoes which was so delicious. In the picture below you'll see the dessert we had. 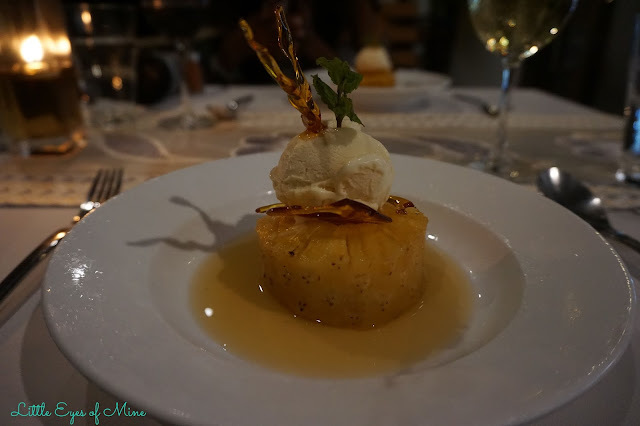 It is Fried Pinapple in Lemongrass and sugarplum sauce with Vanilla Ice-cream. That was just heaven in your mouth. With the view in the background and a beautiful meal, this is something one should do on holiday every once in a while. The price of the food at the restaurant is also not too expensive. So,besides the beautiful pool, and the elevator to the beach, Dara Independence has amenities such as a gym and a spa. 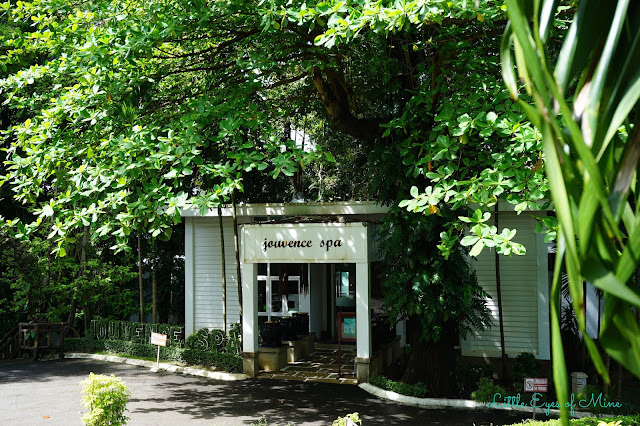 This spa called Jouvence Spa provides various treatments from head to toe. They have massages, body scrubs and wrap, pedicure and manicure among a few other spa treatments. The spa is located in between the beach and the ocean pool. 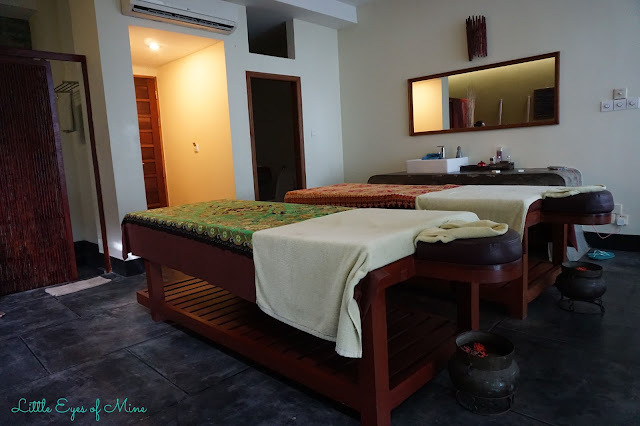 The price range varies depending on the massage therapy or body treatments that you choose but I believe different spa treatment has different locations in the spa itself. There are some that gives you the view of the beach while you enjoy the treatment. This spa is open to guest who do not stay at the hotel. 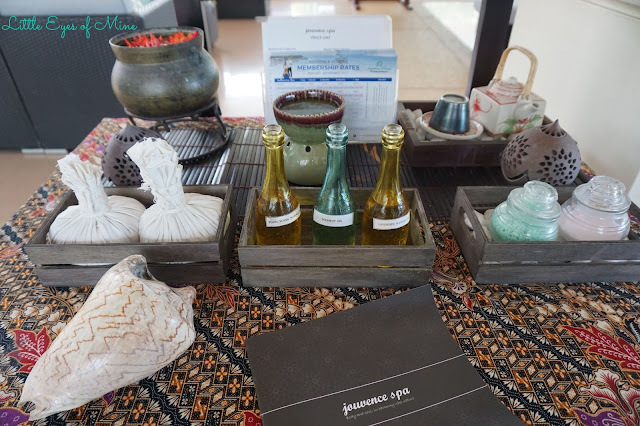 I had the opportunity to try their signature Relaxing Aromatherapy Massage. It was for 60 minutes. This is recommended for new first-time spa visitors and because this was my first time, I thought this would best suit me. The masseuse was very gentle and did not put much pressure as I had informed her prior to the massage that I wanted light to medium pressure. This massage helps to reduce tension, soothe sore muscles and increase circulation. My body felt very light after the massage and the best part about it, I smelled like walking Jasmine plant. During the massage the aromatherapy all they used seemed sweet and subtle but when I was done, it was pretty strong.
' Grape'. This was 45 minutes for approximately USD 40. This was perfect because her treatment was right after we had spent a day at the pool and the beach. This treatment uses crushed seeds from red grapes and lotus blossoms. This is good for anti-aging and also to clean and purify the skin. It leaves the skin feeling soft. According to my friend as well, the body feels very light after the treatment. So, two thumbs up for the both the treatments! Last but not least, it all boils down to the ambiance of the hotel we stay at that determines how satisfied and how good the holiday is. Dara Independence hotel gives you that calm and serene feeling. With the amenities available, the view beyond the hotel, the modern architecture and greenery around the hotel, this place should definitely be on your list of hotels to stay at. For more information on the hotel and its latest promotions, click one of the links below! 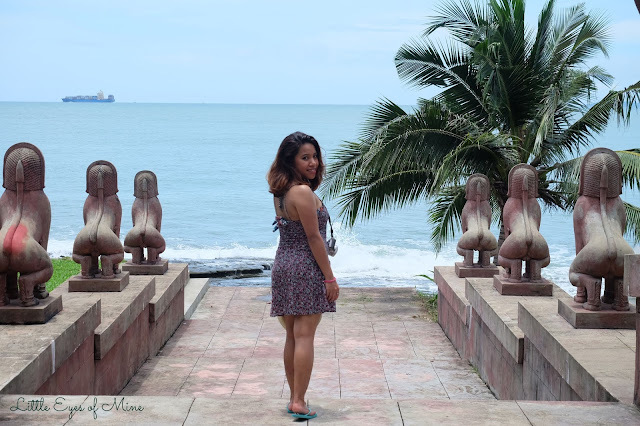 Til my next travel post! p/s- Thank you Dara Independence Beach Resort & Spa for an amazing experience! Thank you for the warm hospitality and I look forward to coming back again in the future! That is beautiful - I love the infinity pool is certainly instaworthy. Great pictures there! The place look beautiful and relaxing. I would love to visit one day. Yes, you should babe! It's very relaxing! That elevator to the beach is a one of a kind! It definitely is! Never seen one in any other hotel before! Amazing location , A scenic beauty for all travellers exploring the wonders of Cambodia . Definitely a place to stay for a relaxing getaway. It definitely is. Very beautiful. After a few days of exploring the main town and city, staying here was the best way to end the holiday! This is such a beautiful resort and worthy of every dollar spent! I would love to spend a night or two or even more there. So many photos to take, so much serenity to soak in! wow just looking at the photos makes me want to visit this place! I especially like how calming the area is with so little crowd I can definitely properly rest and relax. the place looks amazing! and perfect for a little getaway! I never thought there's such a nice beach in Cambodia, I thought this is in Bali. are you kidding me? The pictures look super lovely!!! Now i'm so jealous, wish I could visit there soon too. sooo pretty! definitely need to go there sometimes. Such a beautiful place, it's like paradise! I'll definately pay then a visit if I happen to visit Cambodia. This is such a beautiful place. I want to go there if I have the opportunity. I am completely sold after reading your review. It was beautiful and very relaxing place. Is this resort also pet-friendly? I stay here before too!!! Totally fall in love with this haven. been here before I also fall in love with this place at the first sight! Wow, I like this place. Nice hotel with big swimming pool. This is a really beautiful place. I really liked this. Everything you shown here is really awesome. Spa may be really awesome if they are using cbd oil for massaging. You can get more here like this. This is a very nice and beautiful place, I must say you might enjoyed a lot over there and shared really nice pics, thanks for all the stuff. I will be definitely going to think about it for the future travel plan. This is a very beautiful place. Thanks so much for sharing your nice pictures with us! Hope you enjoyed your trip and fulfilled all your wishes. This place is simply created for rest and relaxation, because there nothing will distract you from the crises of nature and convenience.